The UN Network leverages the UN’s technical clout and convening power to bring into focus nutrition challenges at the country level and place nutrition on the political agenda. To this end, it consolidates knowledge – data, expertise and experience – across the UN system to promote a holistic understanding of the nutrition situation, including inequities. This entails working with the government to galvanize and sensitize actors from various institutions and sectors on their respective roles and responsibilities in nutrition. The Multi-Sectoral Nutrition Overview (MNO), developed by REACH, draws upon agency-specific tools and expertise. 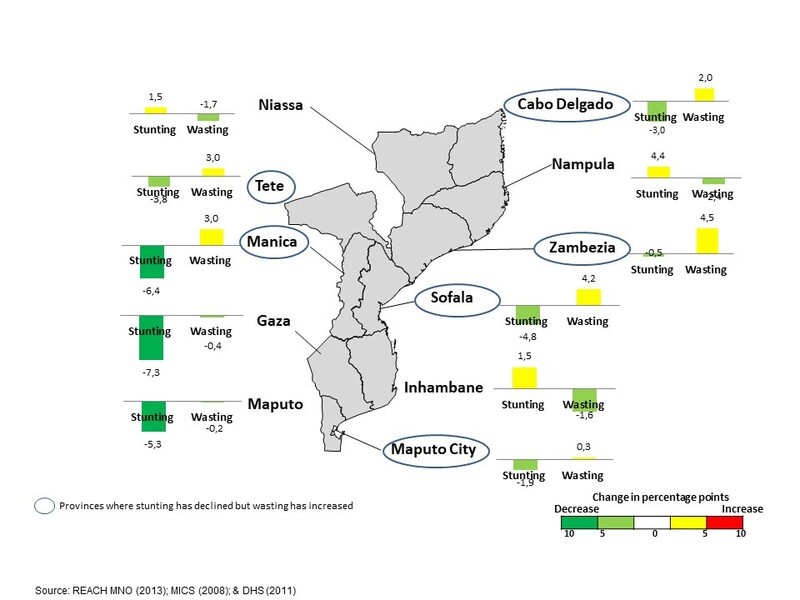 It uses maps, charts, catchy captions and dashboards to illustrate the multi-dimensional nature of nutrition, highlighting trends such as geographic and gender disparities. 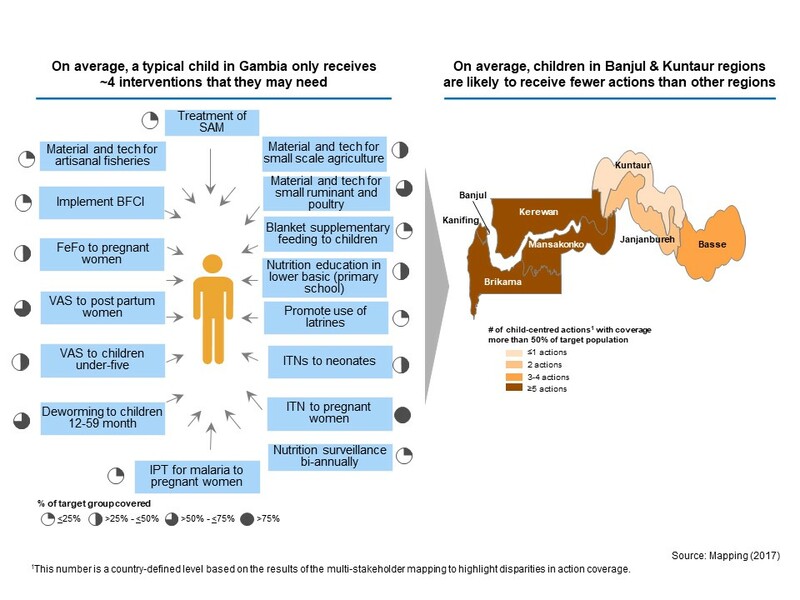 This is a critical first step to inform data-driven action and garner efficiencies, helping to reach more vulnerable people and to accelerate progress towards nutrition targets. DISCLAIMER: The MNO tools are available upon request. For further information, please contact unnetworkforsun@wfp.org. 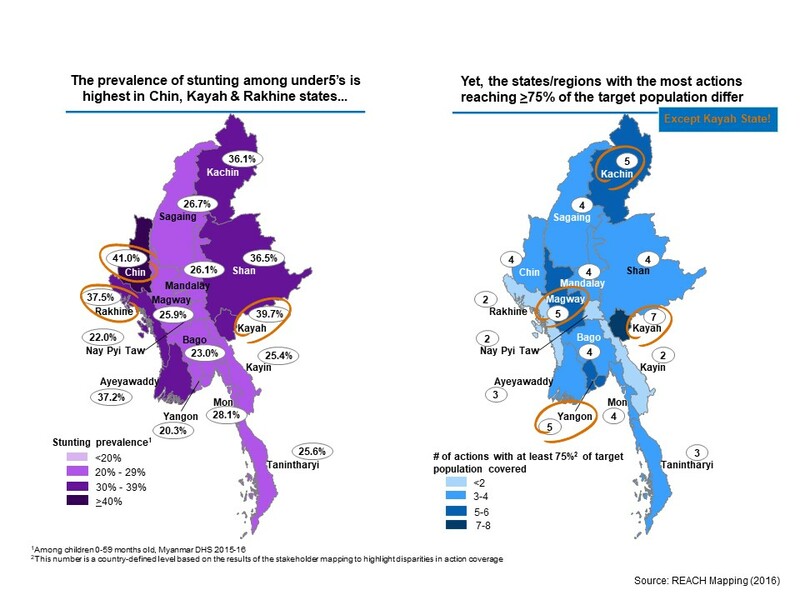 The mapping tool, developed by REACH in partnership with the Boston Consulting Group, identifies which stakeholders are doing what, where and how in order to provide a comprehensive picture of geographic and population coverage. It galvanises a range of actors, generating qualitative and quantitative data on ‘core nutrition actions’ that are implemented through the health, food, education and social protection sectors as well as those that foster women’s empowerment, resilience and good nutrition governance. 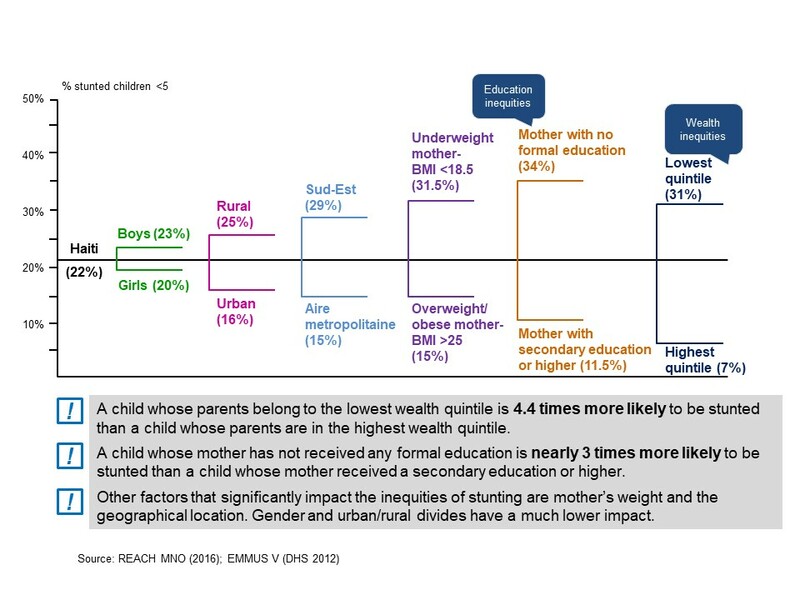 This animates the multi-sectorality of nutrition and guides scale-up in an efficient manner. 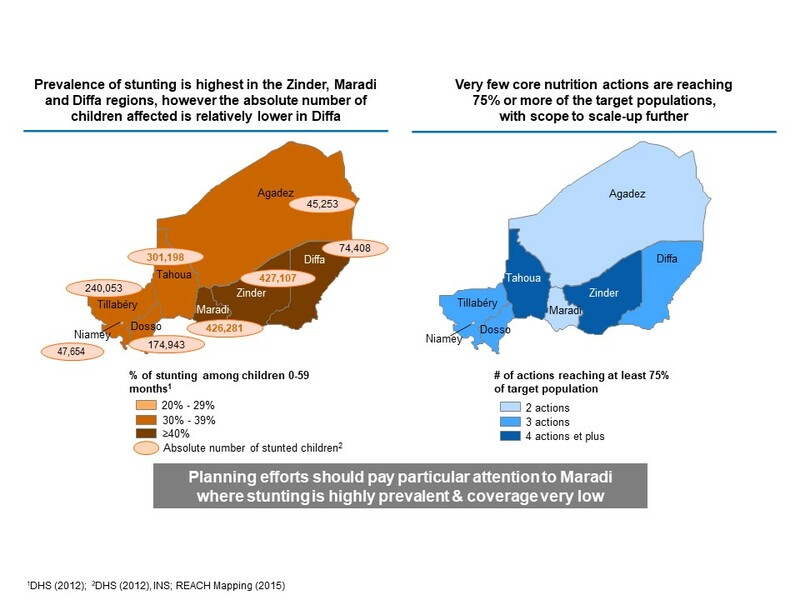 In some cases, countries are looking to the mapping to track the implementation status of national nutrition plans, further attesting the utility of the exercise. National Nutrition Advocacy and Communications Strategies articulate a common framework to guide how actors communicate about nutrition with different audiences and through different communication channels. 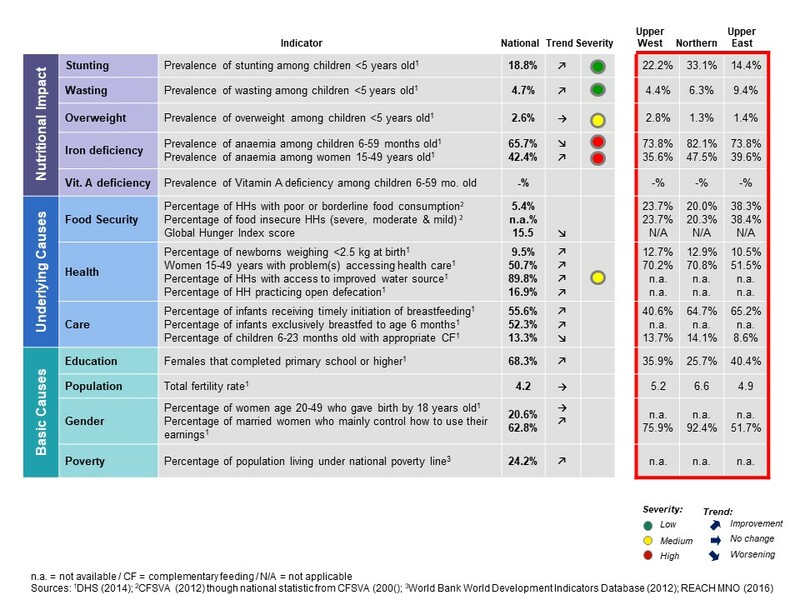 These strategies foster the development and dissemination of coherent nutrition messaging and related activities to raise awareness about the nutrition challenges in a given country. The UN Network supports the development of these materials, where possible, drawing upon its neutral REACH facilitators to support government staff broker between sectors and stakeholder groups for this purpose. This is an emerging area of work that the UN Network is supporting. Nutrition knowledge-sharing platforms typically take the form of web-based portals, which are owned by the government. They include a range of data, such as stakeholder profiles, mapping data and outputs, and other resources to foster knowledge-sharing among diverse actors. The portals also confer multiple functionalities, and in some cases, can serve as a vehicle to track the implementation status of the national nutrition plan.